SIP AND PAINT PUTS THE ART IN PARTY©. IT’S EZ 2 SIP AND PAINT! 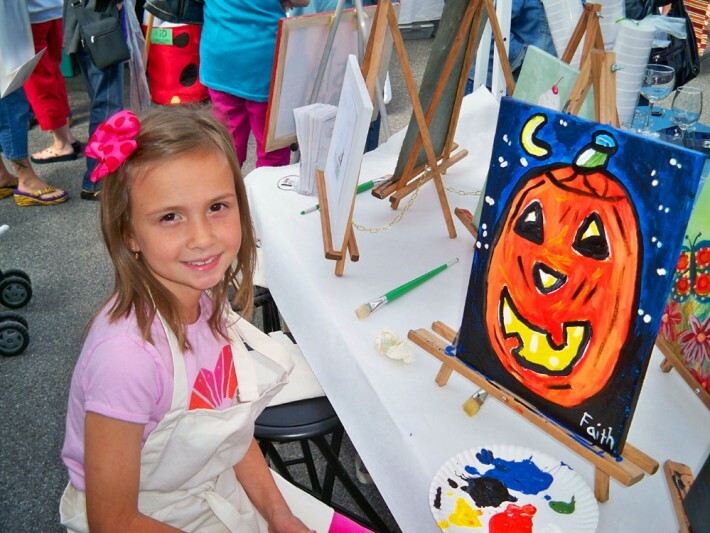 Sip and Paint© will exceed all party expectations for a Kids painting party event. Schedule a private paint party any available day of the week. Click the parties below for more information. 11 children, includes birthday person FREE, a small extra charge for each additional guest. Parental supervision required. Total party time is 2 hours, an hour and thirty minutes for instruction and the other thirty minutes are devoted to goodies and presents. Party includes; studio, a 12″x16″ pre-sketched canvas (may be considered party favor), and all art supplies. Also included are a paper plates, cups, napkins, and refrigeration. Please bring candles, matches, spoons, forks and knife to cut the cake. You’re also encouraged to bring along any decorations you’d like. Party is BYOB (bring your own beverages), food/snacks or order for delivery. Bring the music, iPods, and CDs. Select a painting from the Kids Gallery. A selection is required seven days after booking date. The Party will begin promptly at the scheduled time. Please have your guests at the studio 15 minutes before time to allow for check-in, visiting, etc… Pick up time is 15 minutes after the party. A credit card number is required at the time of the reservation. To assure that the credit card is a good number, a single charge may apply toward the booking. Cancellation, please email 48 hours before the scheduled date. You may call but you still need to email as the official notice. There is a $100.00 non-refundable charge if cancellation within the 48 hours. Update the party by either email, mail@sipandpaint.com, or calling, (504) 208-9420. Best time to call Sip and Paint® is between the hours of 1pm-9pm Monday through Sunday. Emails are checked during the day. Final update information is due three 3 days before party. Additional questions call (504) 208-9420. 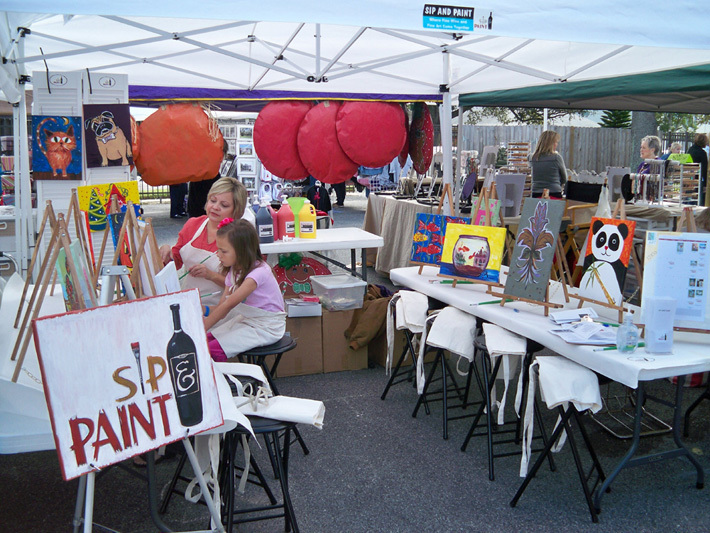 Sip and Paint offers a discounted price to the scouts, with a minimum of 11 painters. Total party time is about 2 hours. Also included are a snack, paper plates, cups, napkins, and refrigeration. Party is BYOB (bring your own beverages), food/snacks, or order for delivery. Bring the music, iPods, and CDs. Select a painting early, from the Kids Gallery. A selection is required three days after confirmed booking date. Additional questions email or call (504) 208-9420. A fundraiser should be more than just earning profits. It should be fun! SIP AND PAINT puts the fun into fund raising with our exciting and easy paint parties. From school groups, to athletes, to churches, SIP AND PAINT provides groups with an opportunity to raise money for their organizations. An artist will assist your party, making the event simple and fun even for people that have never painted before! Everyone leaves with a piece of art that they have created! SIP AND PAINT offers great values, helping organizations reach their fundraising goals simply and effortlessly. Kids LOVE Sip and Paint! Why not offer a unique field trip or in-school painting experience? Choose a painting from our extensive children’s gallery and we do the rest! Sip and Paint provides all supplies, instruction, set up, and clean up. There is a student minimum for classroom visits and a student minimum for field trips to Sip and Paint. Total class time is 2 hours. Class includes: studio, a 12″x16″ pre-sketched canvas, all art supplies, and instruction. Kids WALK-IN/ FREE STYLING IS a great option for kids of all ages to come to paint a painting of their choice from the kids gallery. No reservation required, however, seating is limited. Please email us or call to inform us that you will be attending the walk-in. Children and guests are allowed to pick any painting from the kids gallery for the walk-in. Call us in order to have the pre-sketch ready when you arrive or come in a few minutes early to pick off of the kids wall. Sit back, and smile, and relax. Our artist will offer hands on assistance to make this simple and fun, even for a beginner who has never painted before. Sip and Paint® will provide each guest with the following materials: paint, pre-sketched canvas, easel, brushes, and apron. Check the calendar for dates and times. Additional questions call (504) 208-9420. Best time to call Sip and Paint® is between the hours of 1pm-9pm Monday through Sunday. Emails, mail@sipandpaint.com, checked during the day. 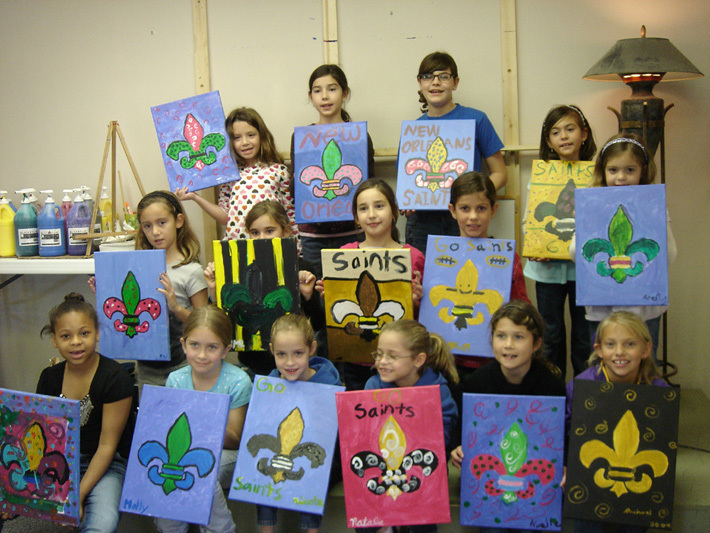 We offer a summer camp with art lessons, canvas painting, and exciting games. Children have fun learning various painting techniques and painting images that appeal to kids of all ages. In addition, each session ends with an art exhibit that friends and family are welcome to come and enjoy!! Our instructors teach by example! Our method makes it fun and easy for children to acquire the skills needed to express themselves creatively. Holiday camp has art lessons, canvas painting, and exciting games. Children have fun learning various painting techniques and painting images that appeal to kids of all ages. In addition, each session ends with an art exhibit that friends and family are welcome to come and enjoy!! Is your child showing interest in learning more about art? Our after school program offers a variety of projects including acrylic painting, collage, sculpture, drawing, etc. We strive to balance learning and fun while stressing creativity to the children. We have several professional artists at Sip and Paint® that are experienced in working with children. Please call us at (504) 208-9420 for details and to set up a time for lessons. The best time to call Sip and Paint® is between 1pm-9pm, Monday-Sunday. At Sip and Paint we have specialized in Cupcake and Canvas™ since 2010. Similar to the Kids Party Package, with the exception of choosing between our cupcake canvases. This is a 2 hr party where kids paint the cupcake of their choice. We always have time for cupcakes, gifts, and socializing. Fill out our form and let us know when you would like to book a party with us or just inquire. When would you like to schedule a party? What time would you like to schedule a party?